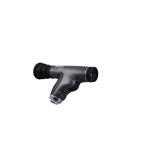 This diagnostic set includes - MacroView Otoscope with LED lit Throat Illuminator, Otoscope Specula, PanOptic Ophthalmoscope with Patient Eyecup and a PanOptic Case. 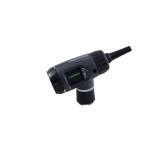 The diagnostic set is powered by LED lighting to capture true tissue colour for better examinations. It helps physicians perform fast exams and accurately diagnose a range of patient conditions, thanks to innovative optical technologies that help clinicians get wider views of the optic disc and tympanic membrane.